If you want to make your own knit headbands then you’re almost there! All you need to do is reach out to us at AMBRO Manufacturing and we’ll help you. If you’ve never heard of us before at AMBRO Manufacturing, we are a contract apparel customization company with tons of services for you to utilize when creating your very own clothing and accessories. Not only can we handle printing and embroidery, we also do custom knitting which is how we can provide you with knit headbands, scarves, and beanies! 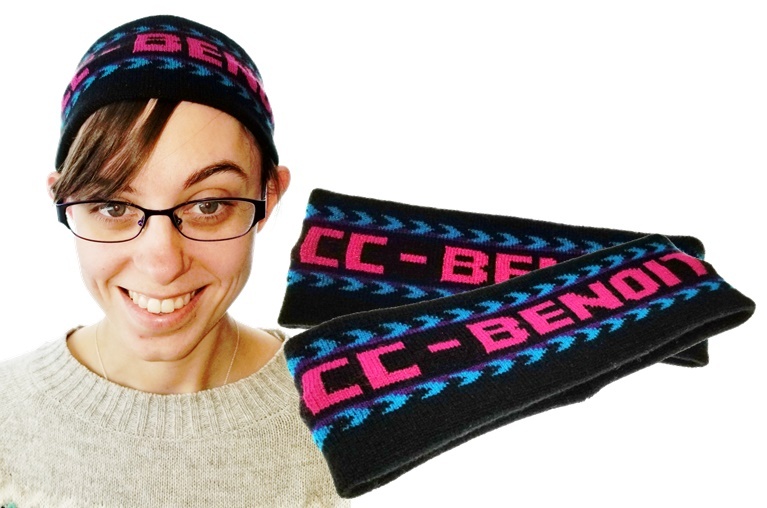 When we say knit headbands, we’re not talking about a product that is manufactured elsewhere that we decorate for you. Here at AMBRO Manufacturing we have our own knitting machines where we fabricate the product right from the colored yarns. Your design is fully integrated with the headband, beanie, or scarf so that you’ll never have to worry about it cracking, peeling, or otherwise falling off for the lifetime of the product. You get to choose the colors and you’ll be providing the design, so it’s all customized to whatever your needs may be! It’s totally possible that you haven’t made custom knit headbands before, and that’s perfectly okay! Our support staff is here every step of the way to provide guidance as need and answer any questions you may have. You won’t even need to step foot in the building either because we can coordinate your orders over the phone or through the internet. You’ll be able to keep step in your busy day while still receiving high quality custom knit headbands and more. So if you are interested in placing an order with us, or if you would like to learn more about our company and all of the customization services we have to offer, you can contact us by email or b giving us a call at (908) 806-8337.